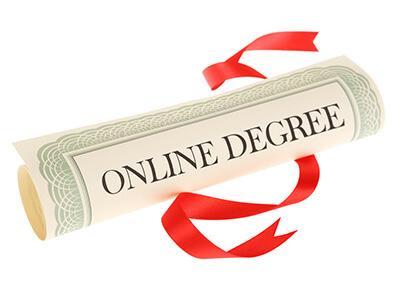 What makes Online Degrees so Special! The fall term in 2010 saw a massive jump in online enrollments compared to previous years. According to the Babson Survey Research Group, more than half a million (560,000 to be exact) students enrolled in at least one online course in 2010. This drove the number of online students to a cool 6.1 million in 2010. Two years later, 62.4% of all colleges and universities offered online programs to its students. In 2014, US News & World Report reported that the Gallop Survey found 37 percent of Americans believe online education offers high quality programs. This is up 4 percent from 2012 and 7 percent from 2011. If we look at the trend above, one thing is quite obvious; it’s the students who are driving the changes in this relatively new industry. The demand for quality online programs went up and the educational institutes reciprocated. So much so that Ivy League universities such as Harvard, Princeton and Yale are now investing in online education. The reasons for this shift are quite simple. To understand why online degrees and education are leading the way, here is what makes them a viable and practical choice. Apart from the most obvious benefits of online degrees, which include flexibility, affordability and convenience, let’s look at some of the other ways in which online degrees are better than traditional campus-based degrees. Changing Attitudes – The popular belief that companies generally shy away from candidates with an online education is not true anymore. The Society of Human Resource Management (SHRM) surveyed its members on the perception of online degrees. In their study ‘Hiring Practices and Attitudes: Traditional vs. Online Credentials’ one third of the participating members said they don’t discriminate between online education and traditional education candidates. A whopping 79% also said that their company had hired a candidate with online education during the last one year. More Interaction – Instead of setting up an appointment with the instructor or raising your hand and risking the ridicule of fellow classmates, online education allows the shy introverts the courage to be more vocal via emails and discussion forums. This allows them to come out of their shell and can serve as a major boost to their confidence. Also it helps in better understanding and gives the students unrestrictive access to the instructors. Improved Technical Skills – Computers are already a big part of everyone’s life. With online degrees, students have discovered new ways to learn. Using different software and tools allows students to develop skills and improve their understanding of the curriculum. Traditional blackboard instruction may still work for some, but in today’s environment the technical knowhow helps students in almost every aspect of their lives. Student Protection – The Student Online Personal Information Protection Act (SOPIPA) prohibits online schools and service operators from abusing student’s personal information. It forbids online schools from using student’s information for advertising and non educational purposes. This law is in effect in the state of California and is expected to be enacted in other states as well. Credit Transfer – Students can have their credits transferred from an online school to a traditional or vice versa. However, there is one requirement. The online school and degree needs to be accredited. Before enrollment, students must check the accreditation of both the school and the program. A reliable source to check the accreditation is the US Department of Education’s Database of Accredited Postsecondary Institutions and Programs. The burden of credibility and accreditation lies with the school and program, however it is the student’s responsibility to be diligent with their deadlines and coursework. If you are thinking about enrolling in an online degree program, you must consider the following points first! No Procrastination – When studying on your own, it’s very easy to get distracted, especially when online. Turn off your phone, social media and avoid net surfing. Act as if you would when attending a class, the only difference will be, you will need to monitor yourself. Follow a Strict Schedule – Make a schedule and follow it diligently. Assign yourself 2 – 3 hours daily on your online courses and do not skip any days (except for the weekends). This timetable will help you get into the rhythm and will keep you up-to-date on your course work and on top of your assignments, so that there is no need for cramming a week before the finals. Speak Up – Don’t be afraid to ask questions. No matter how trivial you may think they are. It’s your understanding that should take priority at the end of the day. Ask your instructor questions via e mail or during live sessions and also keep in touch with your classmates. Studying from home should not mean you need to do it all on your own. Plan Ahead – Note down questions you want to ask your instructor. Do not leave things till the next session. This will only slow you down. Be ready with your questions. However an important point to note here is not to hog the instructors for your questions specifically. Be considerate of other students’ time. Be Positive – As with any undertaking, dive in with a positive attitude. If you are not computer savvy don’t be shy to ask for help. Studying in a new medium can be frustrating at first. But as you get used to the tools, things will get easier. More than half of online students give up due to one reason or another during their first semester, don’t become a statistic. Follow through. Online degree can do wonders in the hands of the right student. It offers opportunities and can open a number of doors. It’s the student’s prerogative to see if they can benefit from it or not.